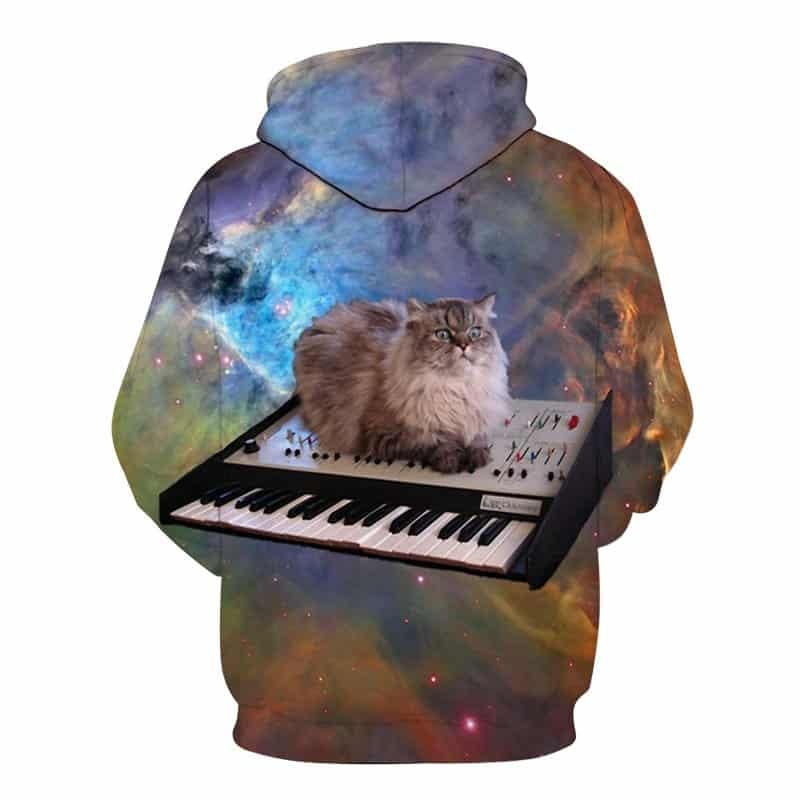 A very random hoodie, coined Catlaxy Musician Hoodie. 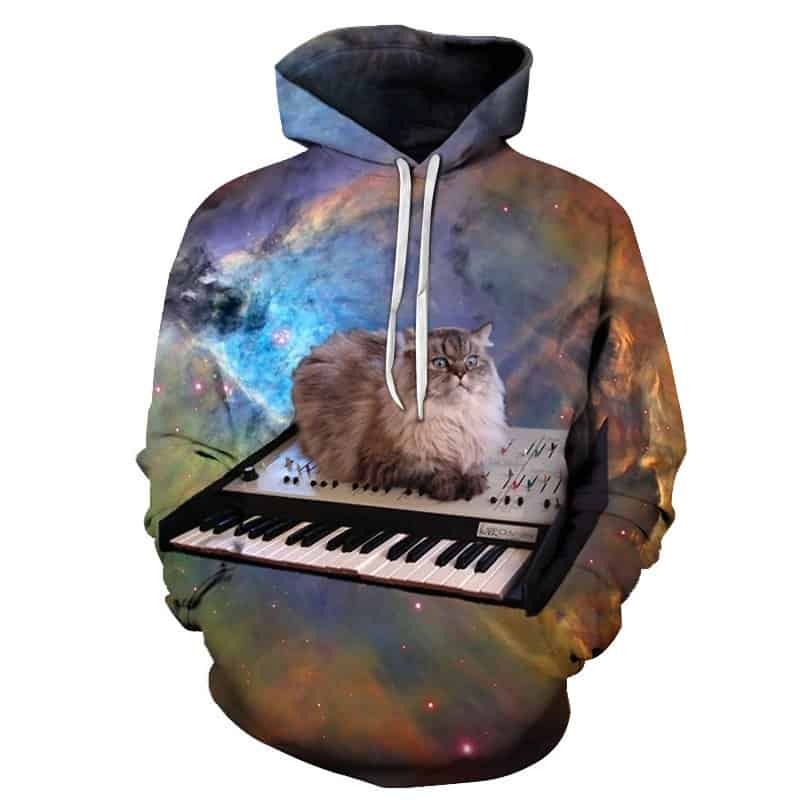 This hoodie features a fluffy cat sitting on a keyboard whilst floating through the galaxy. Probably one of our favourite cat hoodies due to how random this print is. Like other cat hoodies we have, this hoodie is comfortable to wear, looks fashionable and is wearable anywhere. It was designed for both male and female.